Chances are most of us struggle to maintain a good balance in life when it comes to family, health, and work. We tend to prioritize one over the other, creating a rift that leaves us disheveled and unbalanced. While unhealthy lifestyles can lead to an array of problems like acidity, indigestion, stress, and other lifestyle-related illnesses, Ayurveda can help create harmony between the body, mind and spirit, to maintain a balance that boosts our health. The practice of Ayurveda stems from the belief all areas of life impact our health. 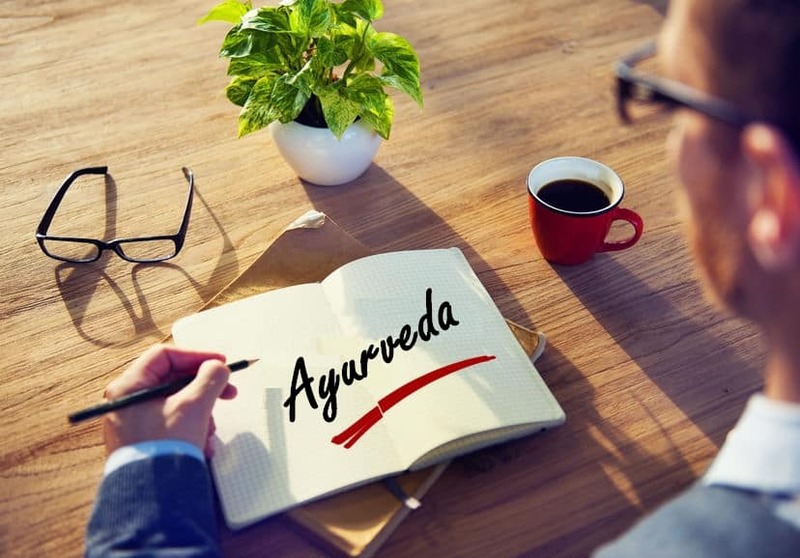 In the U.S., Ayurveda is a complementary health care option used by many Americans who incorporate Ayurvedic elements such as massage, meditation, or cleansing therapies to treat conditions. Pamela Quinn, Ayurvedic specialist, yoga teacher, social entrepreneur, life coach, and author of The Elemental Cleanse, believes Ayurveda is “the mother of healing.” “As such, this philosophy contains very practical routines to maintain health and prevent disease,” Quinn told Medical Daily in an email. From morning to night, these Ayurvedic health hacks will help us teach the human body how to stay healthy, naturally. Drinking warm lemon water is one of the easiest Ayurvedic ways to improve our health. The acidity of lemon promotes regularity in the body to help prevent toxic build-up in the digestive track. Warm water can remove the accumulated toxins floating around the bloodstream, and prevent it from staying put and triggering illnesses. Quinn suggests, “Before breakfast, drink hot water with a little bit of lemon to stoke the digestive fire.” It’s important to make sure the water is room temperature, since cold water in the morning can actually shock your system. Cinnamon is considered to be “the ancient healing spice” that not only enhances the flavor of any dish, but also has numerous health benefits seen in Ayurvedic medicine. Sunita Kumar, functional nutritionist and woman’s health expert, who struggled with polycystic ovary syndrome, believes in the power of food based medicine. Cinnamon is a “soothing Ayurvedic spice that regulates blood sugar which caffeine throws off,” Kumar told Medical Daily in an email. The spice also soothes the nervous system. Ayurvedic medicine suggests our tongue can teach us about our health. This is because tongue surface is known to be the breeding grounds for accumulated toxicity. Using a steel tongue scraper can remove the “ama” — toxins on our tongue — and stimulate certain nerves that stimulate digestion. A tongue scraper will prevent the toxins from getting reabsorbed by the body, which can lead to breathing difficulties, digestive problems, and a weaker immune system. “Scrapping helps remove them from the body and helps in a variety of health issues,” Kumar said. Oil pulling is one of the recently best known Ayurvedic practices. Gargling with coconut or sesame oil for 10 to 20 minutes in your mouth helps remove the hundreds of bacteria, including Streptococcus. Irene Ross, health and nutrition coach, told Medical Daily in an email, oil pulling, especially in the case of Streptococcus bacteria, “aids sinus infections and sore throat.” It’s crucial to remove as many toxins from the mouth, according to Ross, because bacteria’s ability from the mouth to the heart, and other organs is highly possible. Massaging the body with oil helps improve the texture of the skin and provides you with a healthy glow. It’s best to put massage oil on yourself in the morning before bathing or showering for optimal absorption. Overall, “Oil massage helps to detoxify and reduce stress, remove chemicals and energy that are throwing off balance in the body,” Kumar said. Whether it’s Ayurvedic medicine or no medicine, it’s well known getting a good night’s sleep is essential for proper functioning the following morning. Maintaining a regular sleep schedule is considered one of the main focal points of health in Ayurveda, suggesting we need to be protective of our sleep time. Maharishi Ayurveda, a blog based in the UK, reads, “Ayurveda describes sleep as one of the three pillars of health, along with food and a balanced life.” Ideally, it recommends to sleep from 10 p.m. until no later than 6 a.m. to start the day with a fresh and clear mind. These Ayurvedic health tips will train your body to help you stay healthy and live a long life.